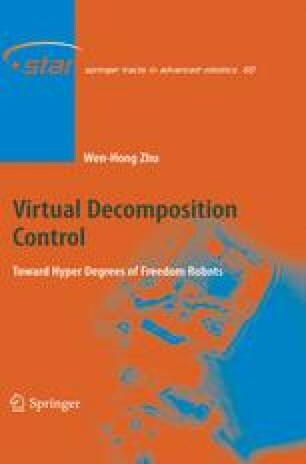 The results in the previous chapters reveal that the dynamics of rigid bodies and the dynamics of joints are needed to conduct the virtual decomposition control (VDC) design. Consider the fact that a joint motor/transmission assembly consists of merely rigid bodies. A natural question is, therefore, raised about the possibility of replacing the joint dynamics by rigid body dynamics.